QUANTUM PHYSICS is at the cutting edge of Western science and in many respects goes way beyond Einstein's Theory of Relativity. 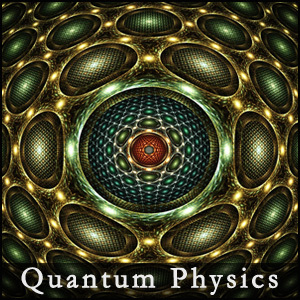 The interesting thing about quantum physics is that the original impetus giving rise to it, namely the pursuit of the elemental building blocks of the Universe (separate elementary particles) has become meaningless with the discovery that the Universe appears to be an undivided Whole in a perpetual state of dynamic flux. As American physicist, Barbara Brennan, states in her book The Hands of Light: Through experiments over the past few decades physicists have discovered matter to be completely mutable into other particles or energy and vice-versa and on a subatomic level, matter does not exist with certainty in definite places, but rather shows 'tendencies' to exist. Quantum physics is beginning to realise that the Universe appears to be a dynamic web of interconnected and inseparable energy patterns. If the universe is indeed composed of such a web, there is logically no such thing as a part. This implies we are not separated parts of a whole but rather we are the Whole. Quantum Physicist, Dr David Bohm goes further in his book The Implicate Order in which he states that "primary physical laws cannot be discovered by a science that attempts to break the world into its parts." Bohm writes of an implicate enfolded order which exists in an un-manifested state and which is the foundation upon which all manifest reality rests. Bohm calls this manifest reality "the explicate unfolded order". Bohm goes on to say "parts are seen to be in immediate connection, in which their dynamical relationships depend in an irreducible way on the state of the whole system . . . Thus, one is led to a new notion of unbroken wholeness which denies the classical idea of analyzability of the world into separately and independently existent parts." The 'rules' of the Universe seem to change reflect the 'maths'. In other words, the mathematical formulas that were initially developed to describe the behavior of universe turn out to govern the behavior of the universe. Thus, if the math is manipulated to produce some absurd result, the matter and energy somehow changes to behave in exactly that absurd manner to reflect the formula! As Nick Herbert in his book Quantum Reality puts it, "Whatever the math does on paper, the quantum stuff does in the outside world." Ross Rhodes elaborates on this point in his article A World with a View in which he says: "It is as though you could create a good offense in a football game -- send the tight end racing down the sidelines and across the goal line -- by changing the numbers on the scoreboard. We are accustomed to thinking that the scoreboard describes and tallies the action on the field; in this analogy, we find that the action on the field is produced by the changing numbers on the scoreboard. And this does not make any sense to us, because in our current world view the numbers are just symbols representing something with independent existence." Non-Locality is defined as phenomenon that occurrences on one side of the Universe can instantly effect 'matter' on the other side of the Universe. Non-locality has profound implications for the prevailing world view of reality in that it clearly demonstrates the inter-connectedness between all matter in the Physical Universe and the illusory nature of Space and Time, something that those who have had some sort of deep spiritual experience are already well aware of. The recent findings of Quantum Physics (especially Dr Bohm's work) about the universe being made up of aninterconnected unbroken wholeness, examples of Non-Locality phenomena (Bells Theorem) and the Observer Effectimplying that consciousness underlies all reality, has striking parallels with the ancient Esoteric concept that all reality is the manifestation of an infinite Singularity (creative principle) which I personally choose to call Source, and most others call God. However, none of this is surprising to those who have experienced the 'Oneness' associated with some sort of deep spiritual experience or holotropic state.